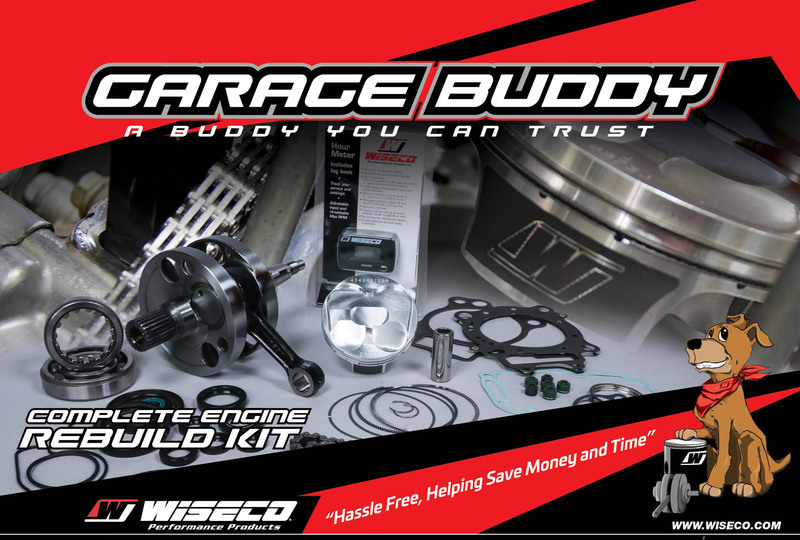 Wiseco's Garage Buddy Complete Engine Rebuild Kits for Dirt Bikes! Let's take a look at the Garage Buddy Complete Engine Rebuild Kit! Wiseco Garage Buddy kits are exactly as the name implies, the buddy you want to have in your garage that has everything ready to go for your engine rebuild. Garage Buddy engine rebuild kits come with all parts needed to rebuild the bottom and top end, plus an hour meter—with a Garage Buddy specific decal—to track critical maintenance intervals and identify your rebuild as a Garage Buddy rebuild.